These pocket magnifiers are economical enough to outfit an entire class. 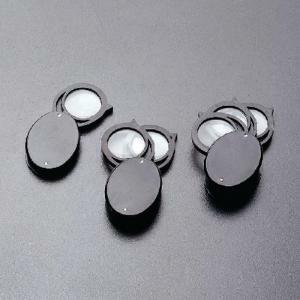 Handy plastic magnifiers, with your choice of single, double, or triple lenses, are ideal for younger students. Each folds conveniently into an attached oval case. The 10X and 15X models’ double and triple lenses can be used separately or “stacked” to increase the magnification.